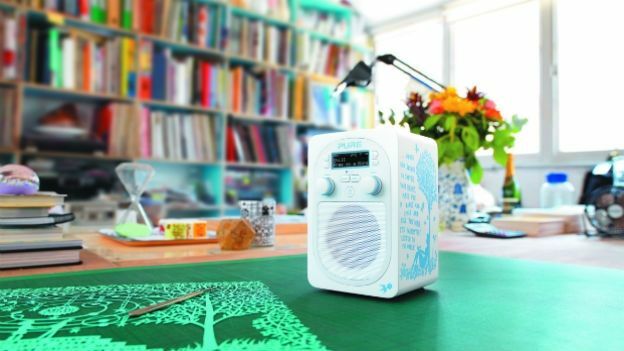 Pure has announced a special edition version of its Evoke D2 portable radio with a new design by artist Rob Ryan. The design, which Ryan created especially for the Pure Evoke D2, features his signature visual poetry printed in blue on white. The poem, titled 'Listen to the World', is about a musical journey. He explained that he was influenced by the BBC's motto, 'nation shall speak peace unto nation'. “This small box has incredible powers, through it you have the possibility of hearing every single person in the world, every single sound the world makes. The Rob Ryan edition D2 is based on the original D2 with built-in FM, DAB, a 3.5mm auxiliary input and Bluetooth for pairing a smart phone or tablet. It will be going on sale next week exclusively from John Lewis and Rob Ryan's shop Ryantown for £119.